The TransporterTM series model TAP-620-M12's access point is designed for industrial and rolling stock wireless applications, such as vehicle and railway applications. The TAP-620-M12 is a reliable 802.11 a/b/g/n WLAN Access Point with two Ethernet 10/100 ports. It can be configured to operate in AP/Client /Bridge /AP-Client Mode. The TAP-620-M12 provides dual Ethernet ports in switch mode, so that you can Daisy Chain to reduce the usage of Ethernet switch ports. 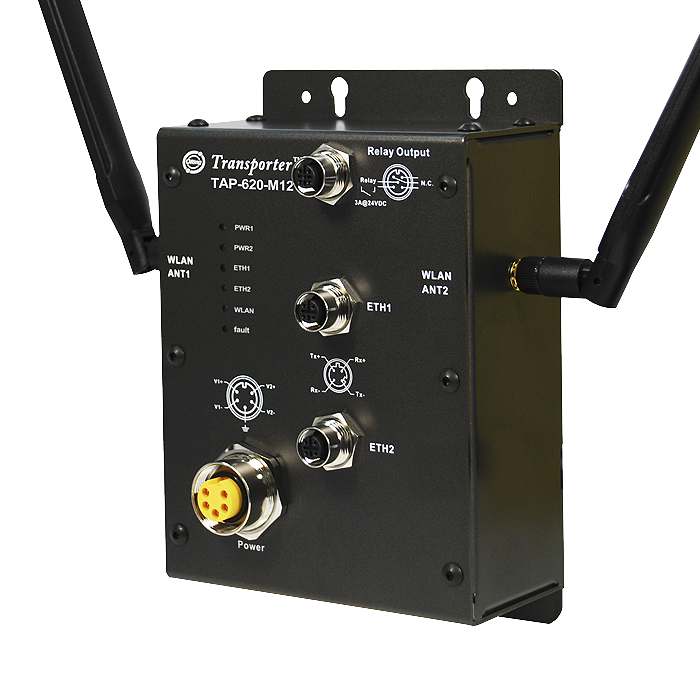 The TAP-620-M12 boasts a dust-tight connection and reverses SMA-type connectors that can install any reverse SMA-type antennas to extend the total communication distance. It is specifically designed for the toughest industrial environments. TAP-620-M12 is configured by WEB interface via LAN port or WLAN interface. 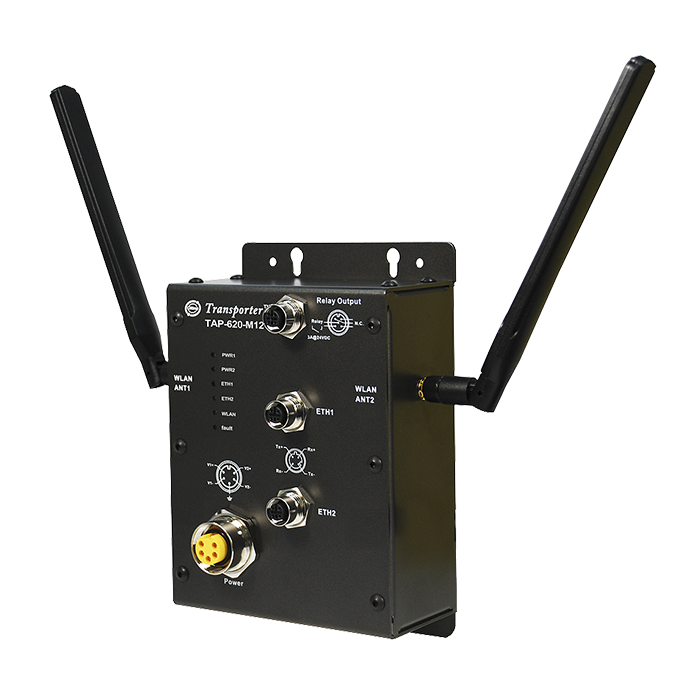 The TAP-620-M12 can be easily adopted in almost all kinds of applications and provides the most rugged solutions for managing your network outdoors. Clearly, the TAP-620-M12 is one of the best communication solutions for wireless applications.